It's time for a new challenge at Aliciabel Challenge Blog, with the theme Anything goes and the optional twist is Christmas! For this entry I decided to make a candle to decorate the table on Christmas eve. For this I used the lovely image Holly from Alicia's shop. Gorgeous! Thanks for sharing your fabulous project and joining us for our current challenge at Inspiration Destination. Hope to see you again and good luck! 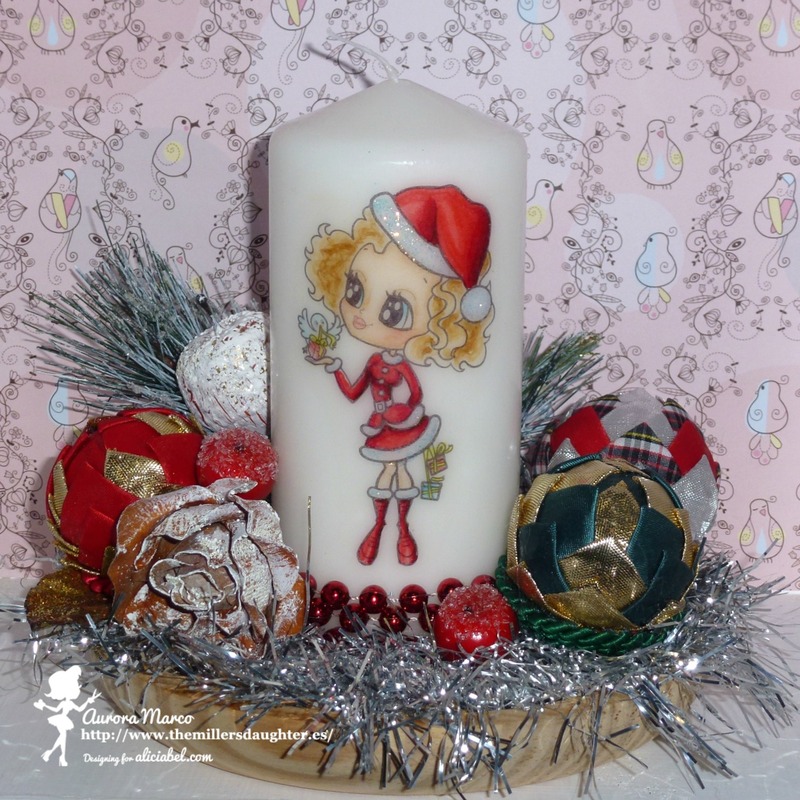 This is such a pretty candle, I love the image! I linked over from the "Ornament Challenge" where I am participating too with my Nativity and 3D Christmas Tree Ornaments. Would love it if you'd stop by. How pretty! Thank you for sharing with us Bearly Mine Designs' December Christmas/Anything but a Card challenge!